Why am I not eligible to Express Entry and cannot create a profile? 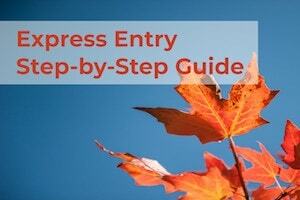 Home > Work in Canada > Permanent Residency > Express Entry: The Ultimate Guide > Why am I not eligible? This can happen quite often: you were already trying to calculate your CRS score, and when you had all your documents in order (Educational Credential Assessment (ECA) and language results) to create your Express Entry profile, you were welcomed with a "Based on your answers, you do not appear to be eligible for Express Entry" in the Come to Canada tool. Some others, while having a profile in the Express Entry pool, find themselves rejected from the pool the next day without any explanation. This is devastating for some candidates that thought that they were eligible. However, there are some cases that can be easily fixed. 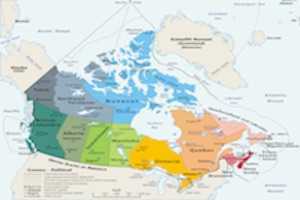 If you choose Quebec in the province or territory you are most interested in, you will be ineligible. Quebec is not part of the Express Entry system and under no circumstances should you say that you are going to Quebec. If you are a Federal Skilled Worker (FSW) applicant, you need to have at least CLB7 in your first language (you can choose between French and English). at least CLB5 in your first language if you primary NOC code is Skill Level B. If you are a Federal Skilled Trades (FST) applicant, you need to have, in your first language, at least CLB5 in listening and speaking, and CLB4 in writing and reading. For FSW, you need at least one year of full-time, continuous, paid work experience, in an NOC code with Skill Type/Level 0, A or B. The work experience can be outside of Canada. For CEC, you need at least one year of full-time experience in Canada, in an NOC code with Skill Type/Level 0, A or B. For FST, you need at least two years of full-time work experience in a skilled trade. The work experience can be outside of Canada. For job offers, you do not need one to be eligible, except for FST applicants. If you do not have a 1-year job offer from a Canadian employer, you will have to provide a certificate of qualification. For settlement funds, if you select a dollar amount inferior to the required funds, you be automatically found ineligible. However, if you are already in Canada under a temporary work permit, or if you have a valid job offer, you do not need to have the required minimum funds. If you are an FSW applicant, there is an additional requirement: the famous 67 out of 100 points. What's the 100-point grid and do I need to score 67 points? If you applying under the Federal Skilled Worker (FSW) category (if you have no Canadian work experience or no experience in skilled trades), there is an additional eligibility requirement: you need to score 67 points in the 100-point FSW eligibility grid. You can find out how to calculate your points here. Which basically means that the minimum language proficiency of CLB7 in the first official language and the minimum work experience of 1 year are often not enough to get the 67 points. For language ability, you can study English and/or French to get a better score in the tests, and thus have more points. There is no limit on how many times you can take the exam. If you are familiar with the second official language (English or French), you can try and get CLB5 (equivalent to an intermediary proficiency in the language), which will get you 4 additional points. For work experience, you can get more points by waiting while working. If you only have 1 year of experience, you can wait until you have 2 years of experience and get 2 additional points. If you wait until you get 4 (or 6) years of work experience, you can have 4 ( or 6) additional points. However, you need to be careful of your age, as after your 35th birthday, you will begin to lose 1 point each year. So a piece of advice, begin by calculating your score in the 100-grid FSW system, before beginning to calculate your CRS score. What if I am found ineligible after entering the Express Entry pool? There are cases where this happens. Without any previous warning, you can get rejected from the pool and your profile becomes inadmissible. You can still, of course, create a new profile if you think you can be eligible again. For Federal Skilled Workers (FSW) and Federal Skilled Trades (FST) candidates without a job offer, you can be ejected from the pool because of the minimum settlement funds. Indeed, at the beginning of each year, minimum settlement funds are reevaluated and go up by a few percentage points. This leads the candidates that have not updated their profile with the new amount to get rejected. To avoid this, we advise you, if possible, to put the amount of settlement funds in your Express Entry profile, a few hundred dollars above the minimum required amount. For FSW candidates, age can be a factor in becoming ineligible. Because the points, in the FSW 100-point grid, go down as age goes up, there is a moment in time where this could happen. You should try and get an idea of when this could happen and plan accordingly.